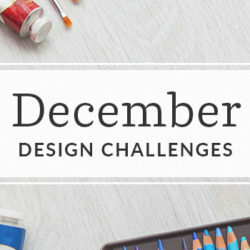 We are beyond excited to announce the first technique in March's Design-A-Day SpoonChallenge: Pencil drawings! Today on the blog, Esther Fallon Lau (known by many as nouveau_bohemian in the Spoonflower Marketplace) gives us a closer look at how she incorporates pencil drawings into her design process. 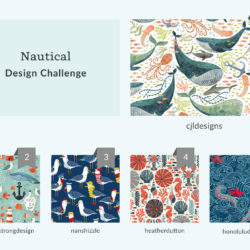 Be sure to follow along here for the next 15 days as we feature a new Design-A-Day technique, presented to you by one of our many talented Spoonflower Marketplace designers! Pencil drawings come to life with a pop of color and a lot of creativity! Esther: As it’s sometimes said, your weakness can become your greatest strength. When I first discovered the joy of Spoonflower I was forced to hand-draw all my designs in pencil because I had no technical graphic design skills. Now, this hand drawn technique has evolved into the real ‘hero’ of my work. In contrast to digital drawing, the unpolished look of pencil sketches lends a rawer, more organic quality to illustrations. Perhaps it’s the inherent ‘imperfections’ with pencil that allows the viewer a more personal connection with the artist. In an age where handmade and bespoke are having a real resurgence, I have found that ‘hand-drawn’ is a look that customers are really valuing right now. nouveau_bohemian details how her design Birch Bears (blue) comes to life through simple pencil sketches! Ready to get designing? 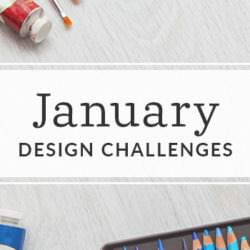 Follow Esther's tips below to help you with today's Design-A-Day kick off challenge! Build a Pinterest board full of the style of drawing you like. Don’t worry about the content, it is the 'how' that is important. Is it technical, minimalist, folk, naive, cartoony? If it is an animal, are the legs, arms and head disproportionate or anatomically correct? How is character/personality shown in the eyes? How is texture/pattern/shadow indicated? Now, find a photo (or real life subject) to use as a guide (I don't have ready access to bears in Australia so I used a photo!). Sketch the subject in your style. Don’t get fixated on the perfect line – don’t erase, just use soft lines, make lots of them, experiment. Next, within those lines, ‘seek out’ the best outline with a fine ink pen. I use a Sharpie extra fine point. Now erase the pencil and scan into Photoshop or some other editing program. Blur the image (to smooth out the lines slightly) then sharpen by increasing the contrast (I use Levels). You can add fillers (eg flowers, leaves, clouds, stars etc) to create movement, balance and interest. Finally, digitally colour and overlay with texture. Voilà! Inspired by Esther's tips and tricks for pencil drawings? We want to see! Be sure to tag your designs influenced by today's SpoonChallenge technique with #SFDesignADay! Love this!! I have tried pencil drawings and really loved them, but always wondered what medium people were using for designs such as the bear print featured here. Mine always looked too rough, so outlining with a sharpie is a great idea. I just need to learn how to digitally color and overlay with texture :). Thanks for sharing! Once drawing is done (digitally painted and tagged #SFdesignADay) where is it supposed to be shown and shared ? if you can just advise the link to upload the drawing. Lovely, thanks a lot Esther for sharing your process! I too start with pencil+sharpie/liner drawings. I take them to Illustrator afterwords and the difference is considerable. I will try Photoshop this time. I am wondering the same thing. Thanks for asking! Glad you enjoyed today’s prompt, Whitney! Thanks for following along! Hey Patricia, you can share your design photos on any social media platform you choose, using our #SFDesignADay in the description. We’ll post roundups of our favorites on the blog throughout the month. 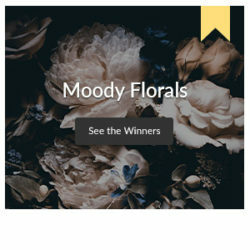 On March 15th when the contest portion opens up and we announce the theme, just upload your design to Spoonflower and enter the design into the contest directly from the design page. I hope that helps! Glad you found this helpful, Ksenia! I’m not a sketchers in the slightest, but it’s fun to step out of your comfort zone! But, can’t enter it on the challenge, the button “Enter in Design Challenge” doesn’t work (IE and Google Chrome). Could you please take it in consideration. I’m a long admirer of your work Esther. Thank you for this insight. Lovely! This my preferred method of creating fabric patterns too. It is so interesting to see the step by step process of someone else. Love these insights! Thank you for the inspiration!